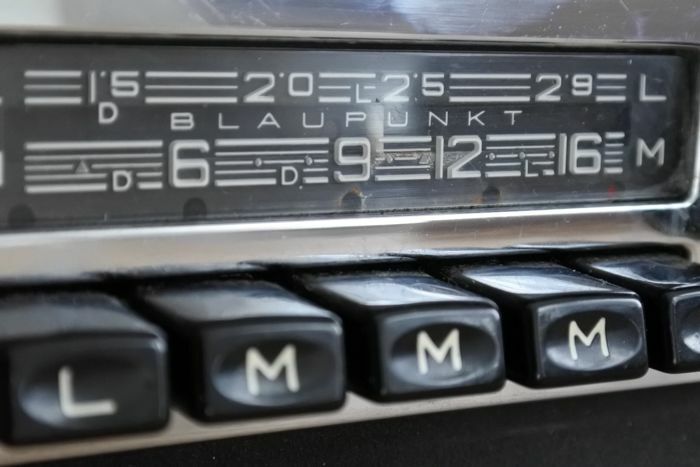 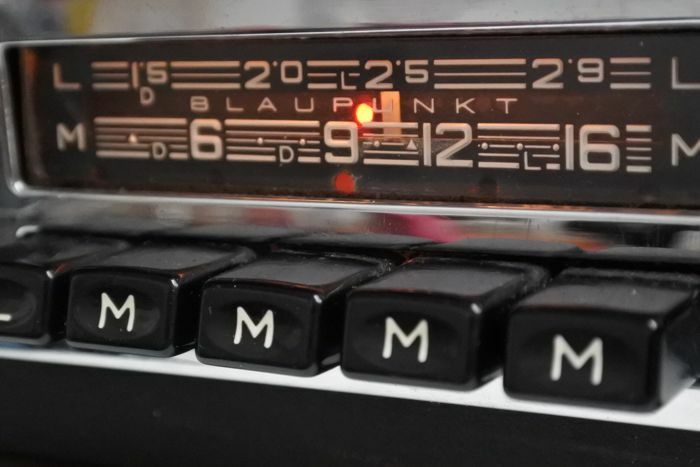 This is a magnificent Blaupunkt car radio with long wave and medium wave. 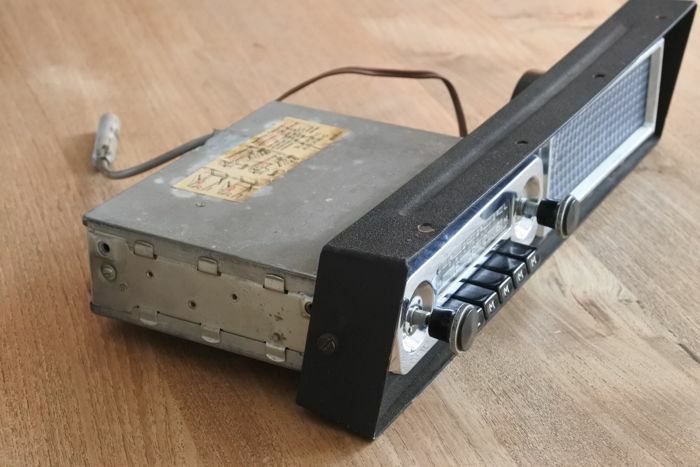 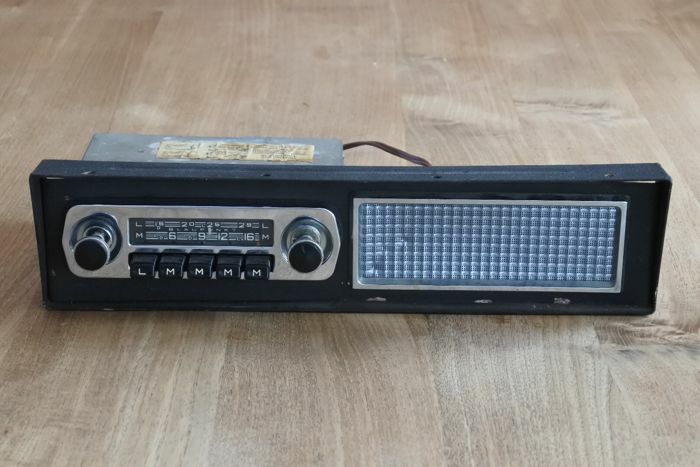 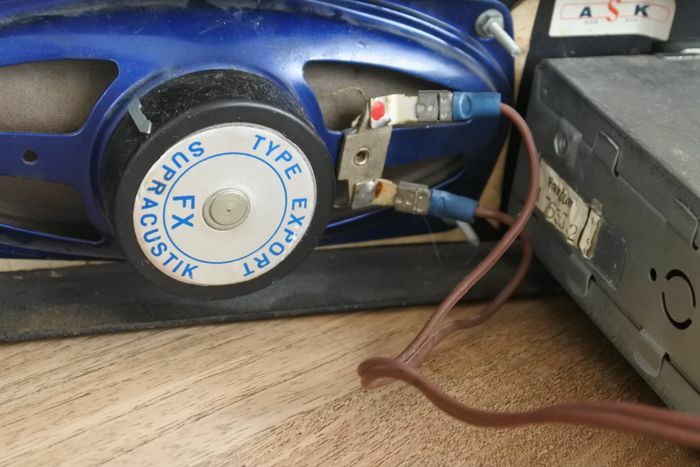 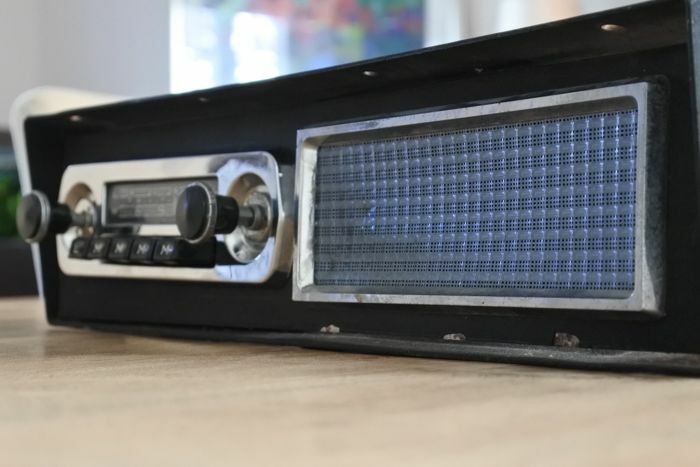 This radio was built in 1966 and has a time-period substructure with loudspeaker. 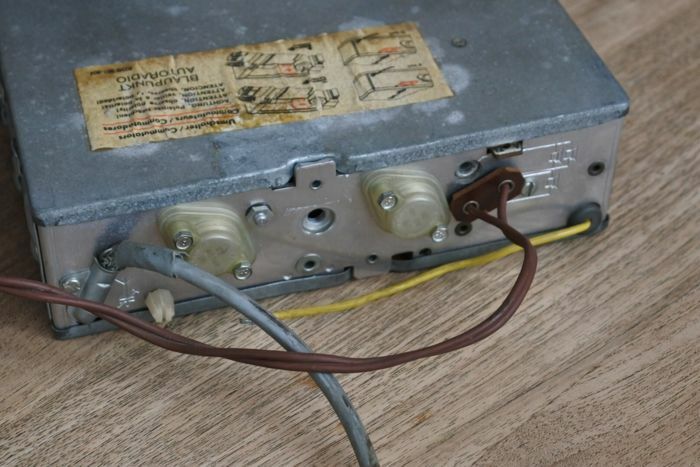 The substructure was used in many Italian and French cars. 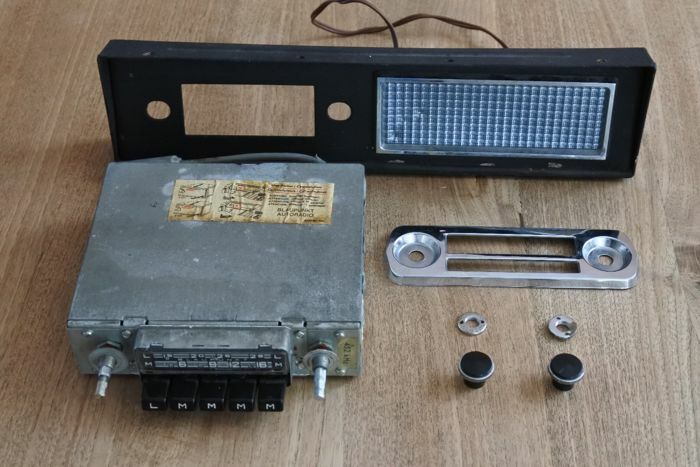 The radio and loudspeaker have been tested and both function properly. 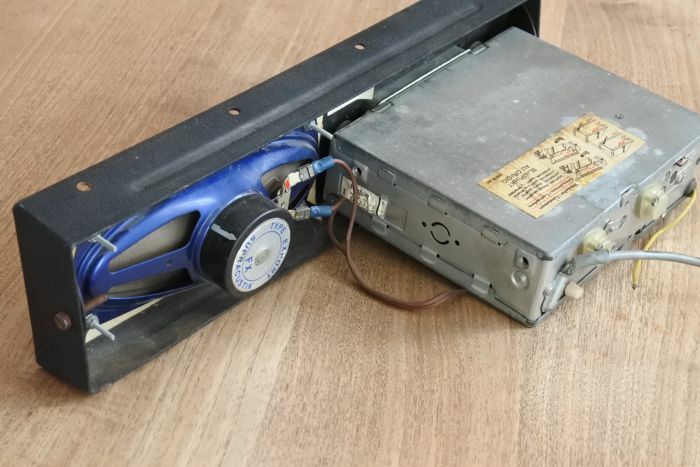 The lighting also works. 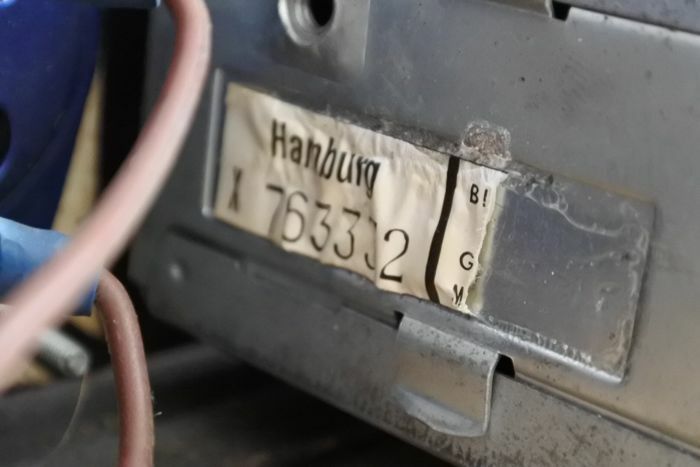 This device has 4 preset buttons for AM and is switchable from 6 to 12 Volts. 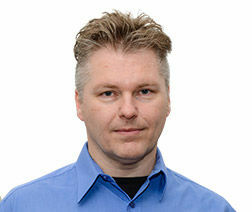 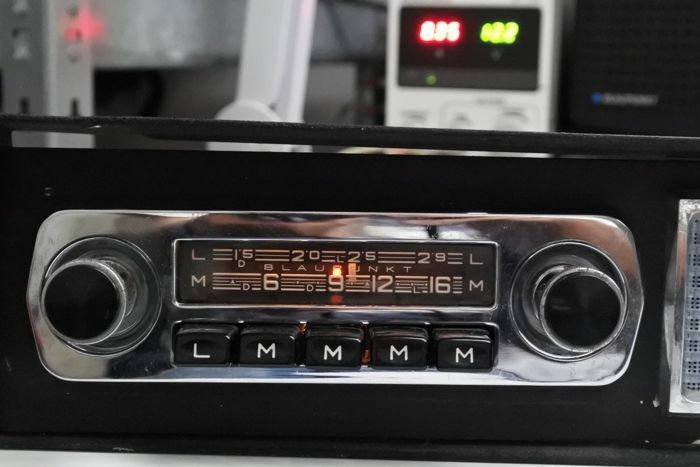 The radio is currently set to 12 volts and negative grounding. 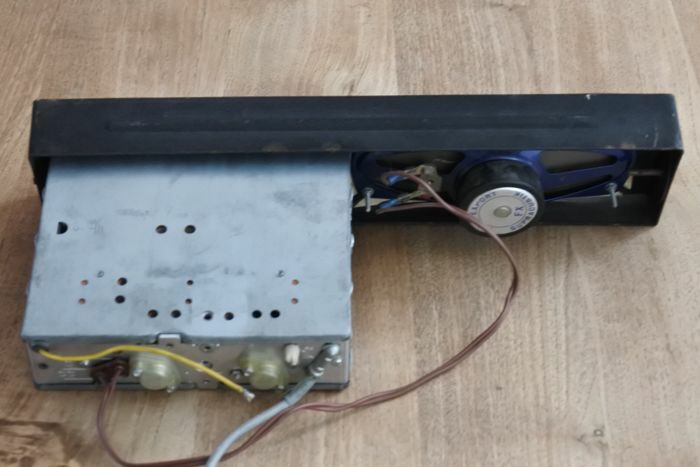 - built-in dimensions (wxhxd) 185x60x160mm. 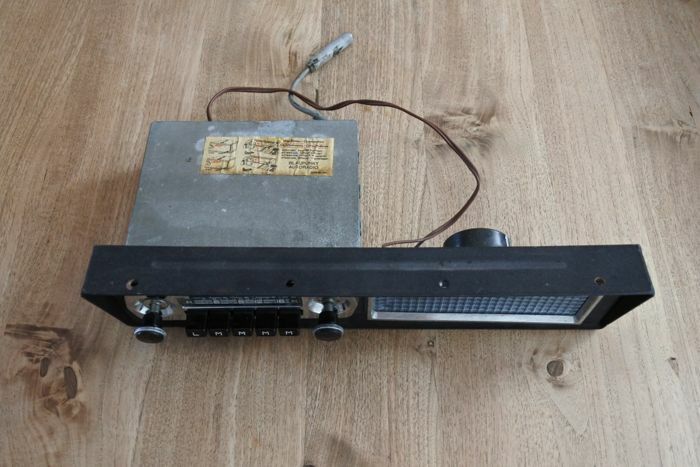 - radio front dimensions (wxh) 170x50 mm. 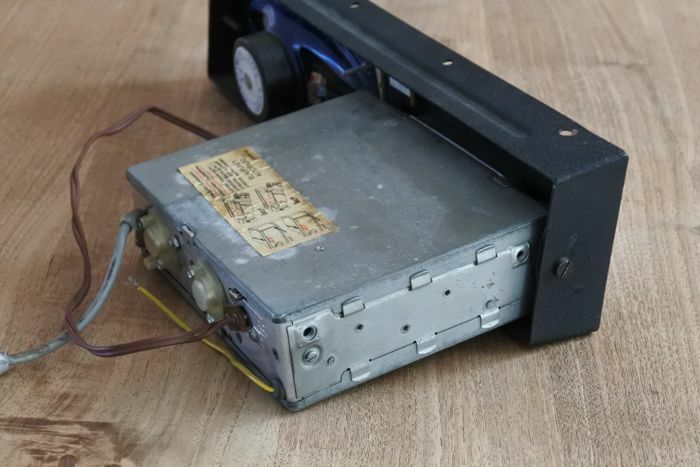 - substructure size (wxhxd) 390x100x50 mm. 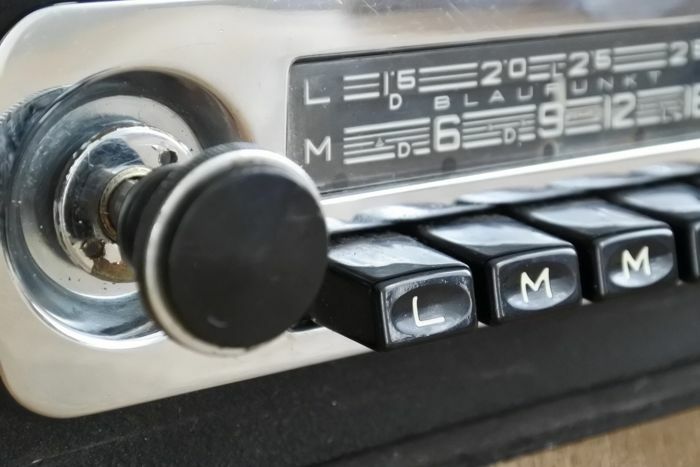 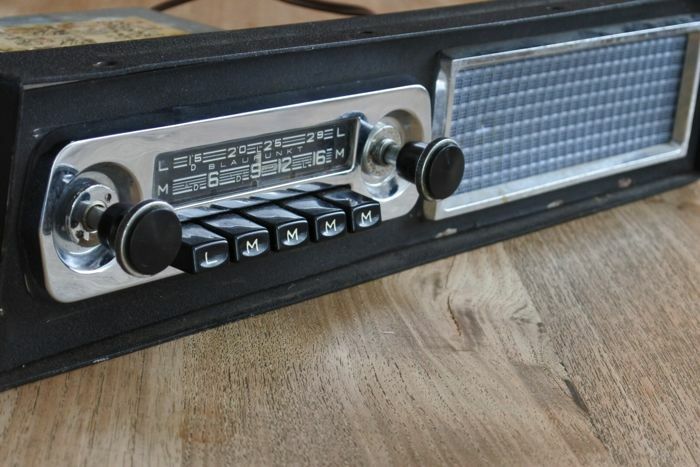 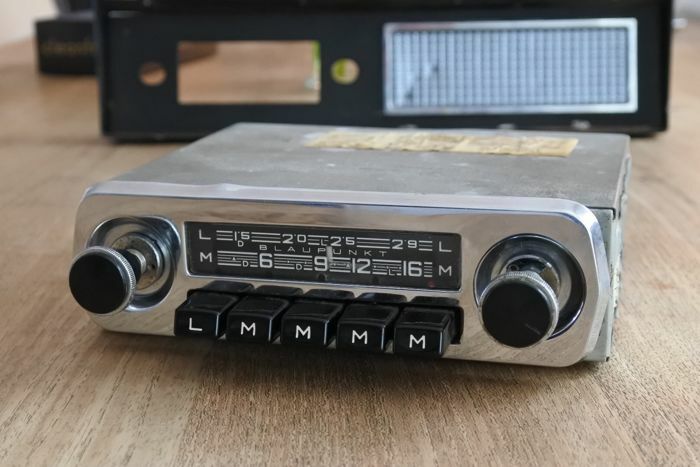 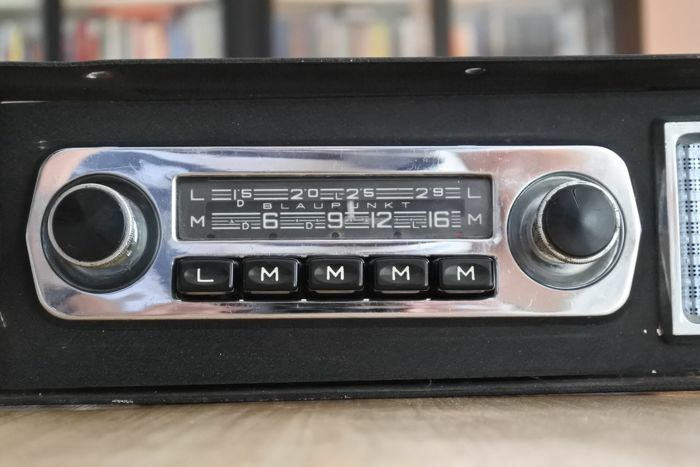 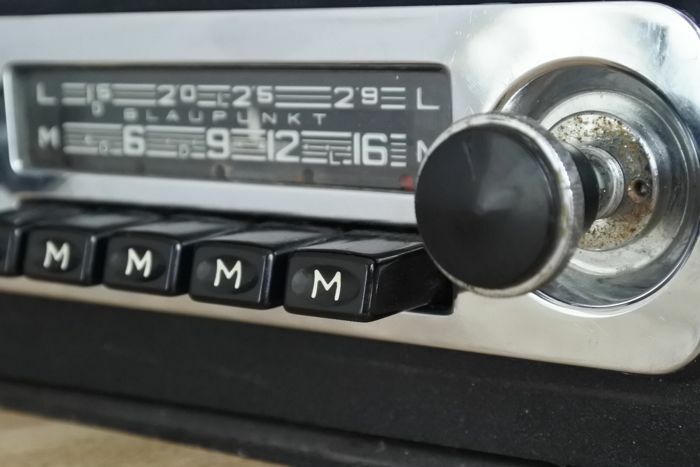 In short: a magnificent, original and well-working radio with substructure for your classic car from the 1960s.